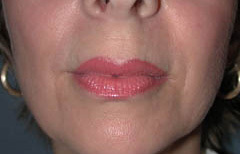 This 53-year-old woman wanted filler in her nasolabial folds. She had Restylane by another physician about 4 months previously, but the results had already faded. 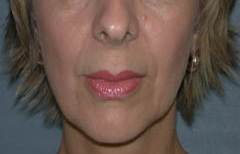 Radiesse was placed in her nasolabial folds and marionette lines for improved results.